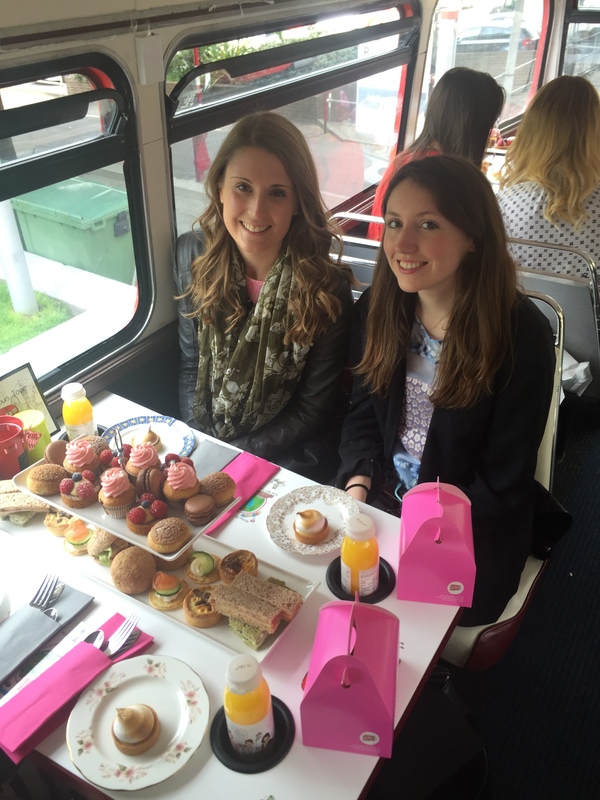 I was delighted to be invited to hop on board the Afternoon Tea Bus, sponsored by Rennie. 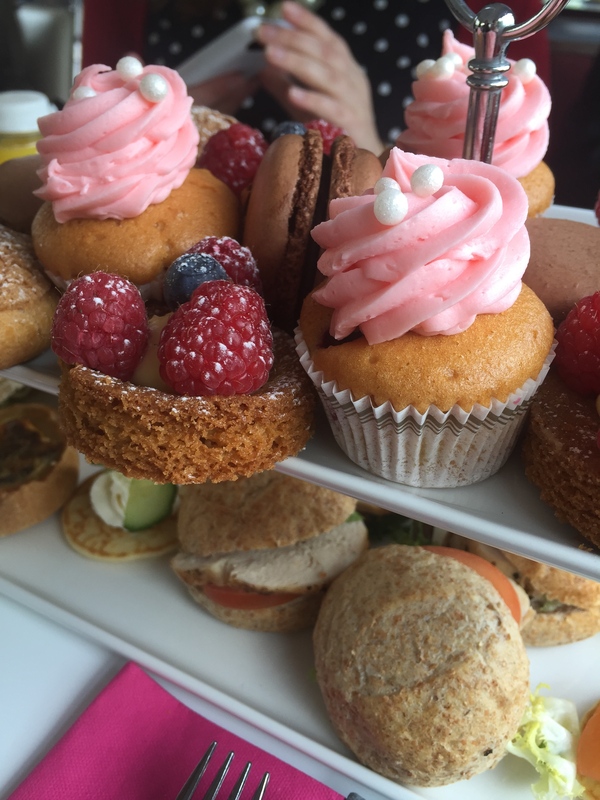 The experiential marketing event was organised to celebrate happy eating, emphasising the message that you can still enjoy the food you love (as long as you have a Rennie in your back pocket!). 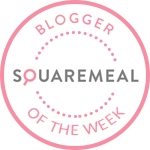 A group of fellow food bloggers and our plus ones alighted the double decker along Soutbank, near the London Eye. 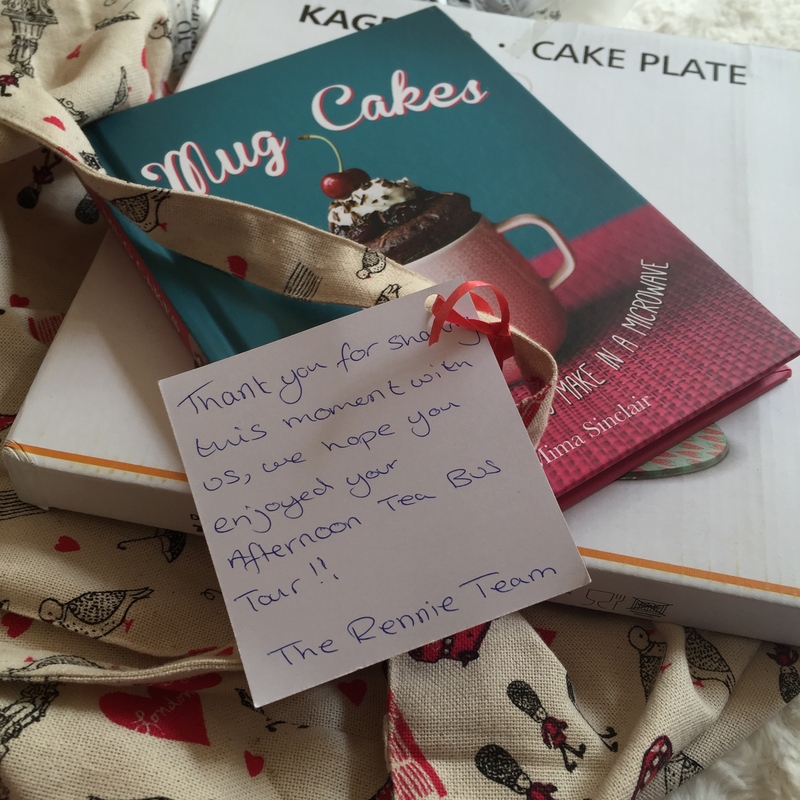 After rummaging through our cake theme goodie bags (thanks to the Rennie team!) we took our seats.  We were glad to be seated on the top deck of the bus although unfortunately this afternoons dining parnter and I were facing backwards which was a little uncomfortable as we whizzed through the streets of London tucking into finger sandwiches! 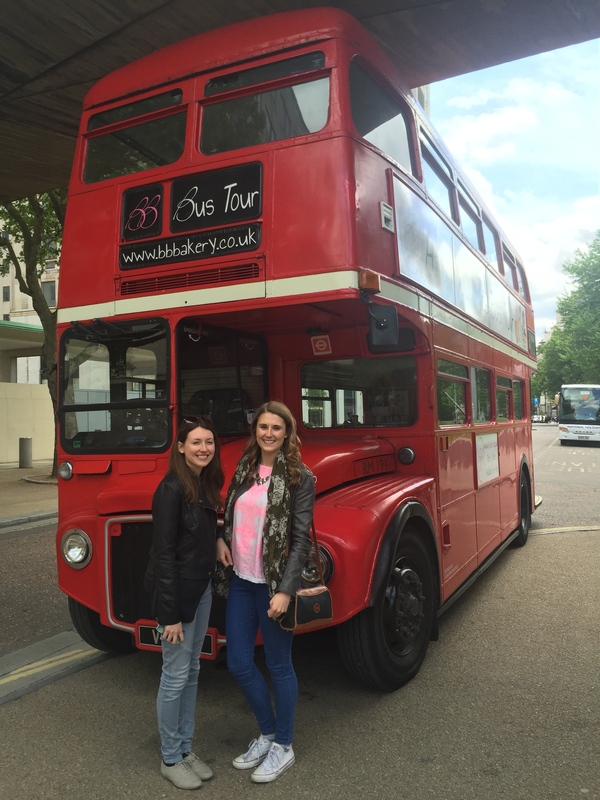 The Afternoon Tea Bus is operated by the delightful team behind the BB Bakery in Covent Garden. With a successful bakery behind the sweet treats, I was pretty certain that the cakes were gonna be tasty! I am happy to share with you, that I was 100% correct. 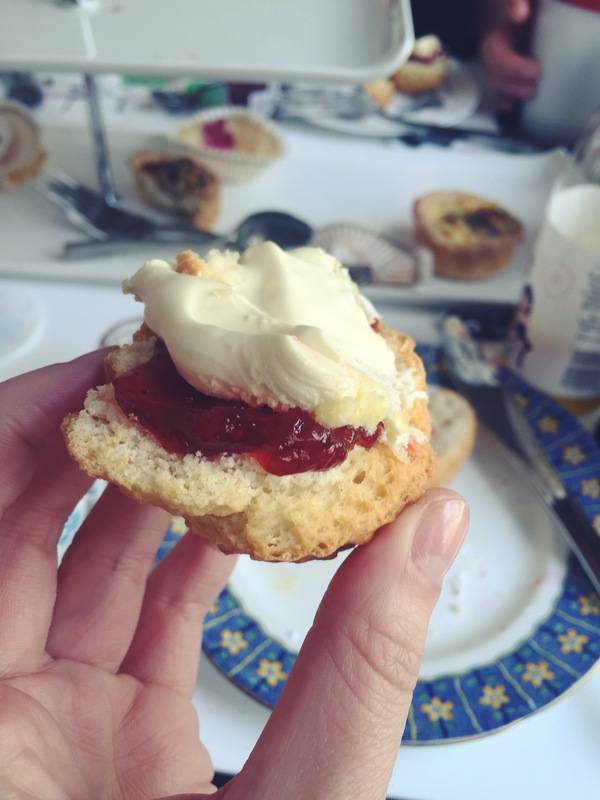 BB Bakery had put on the most delicious spread, including a selection of finger sandwiches, mini quiches, fruit tarts, cakes, mini cupcakes, homemade macaroons and to top things off, freshly baked scones with clotted cream and jam. 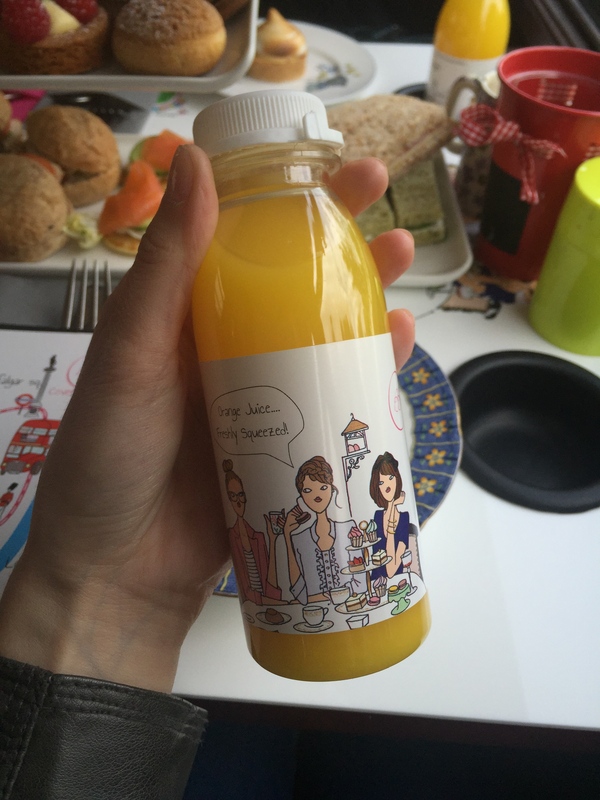 Freshly squeezed orange juice and a selection of teas were on offer. 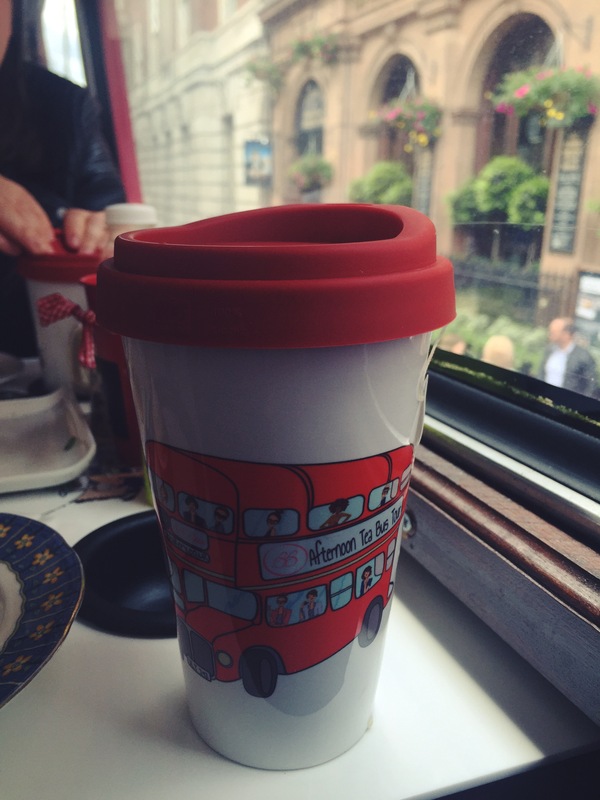 All served in branded BB Bakery packaging, the ceramic travel mugs are even available to buy separately. 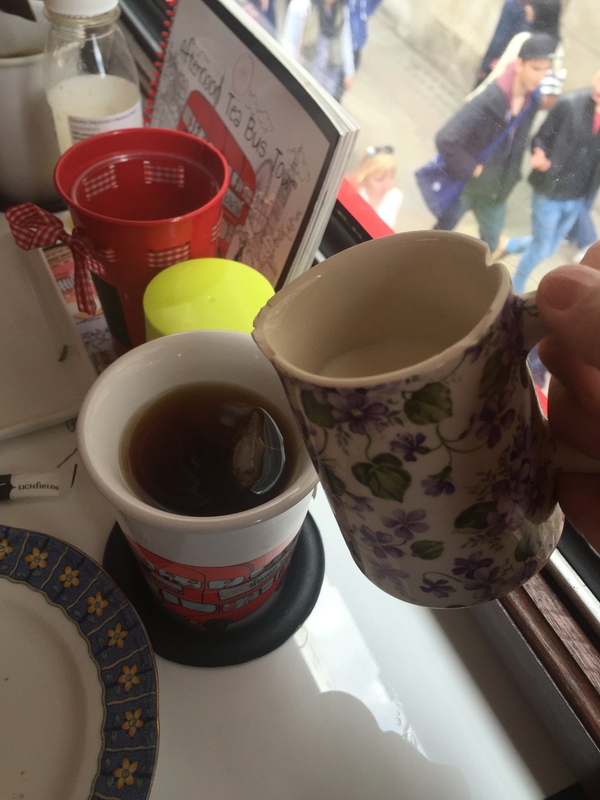 It was a bit of a balancing act pouring milk into your cup of tea as we whizzed through the streets of London! 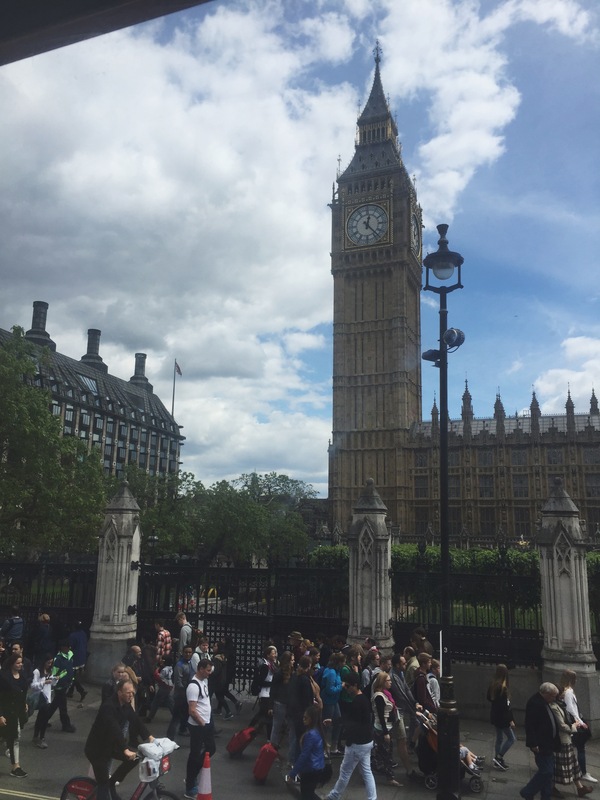 The journey lasted about an hour and a half and takes you through all the famous London landmarks, from Big Ben to the Royal Albert Hall, Marble Arch and the London Eye. 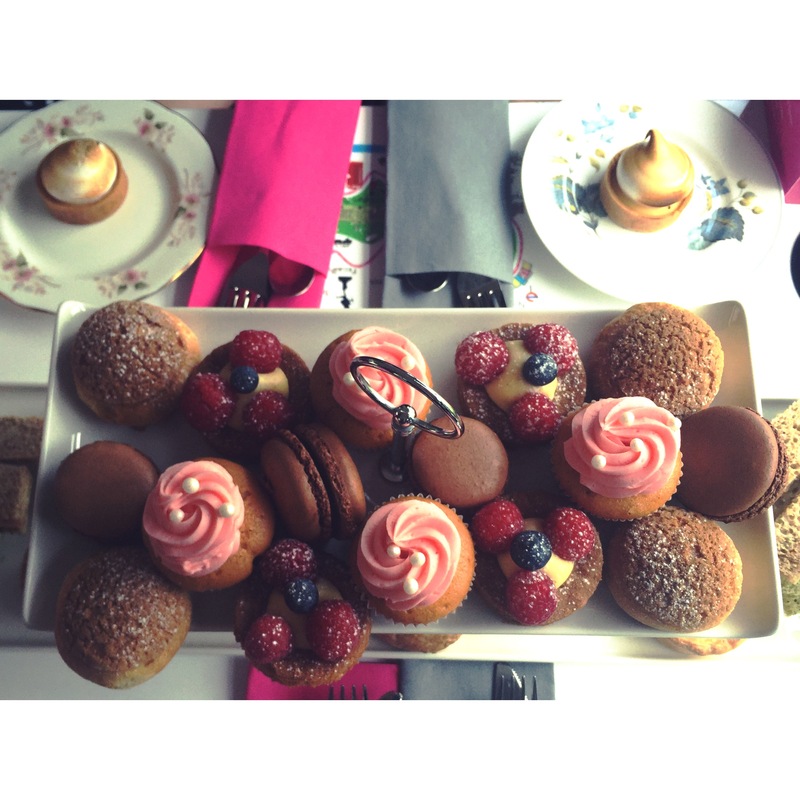 We were lucky to have the sun shining through the windows and we ploughed through the cakes on offer! 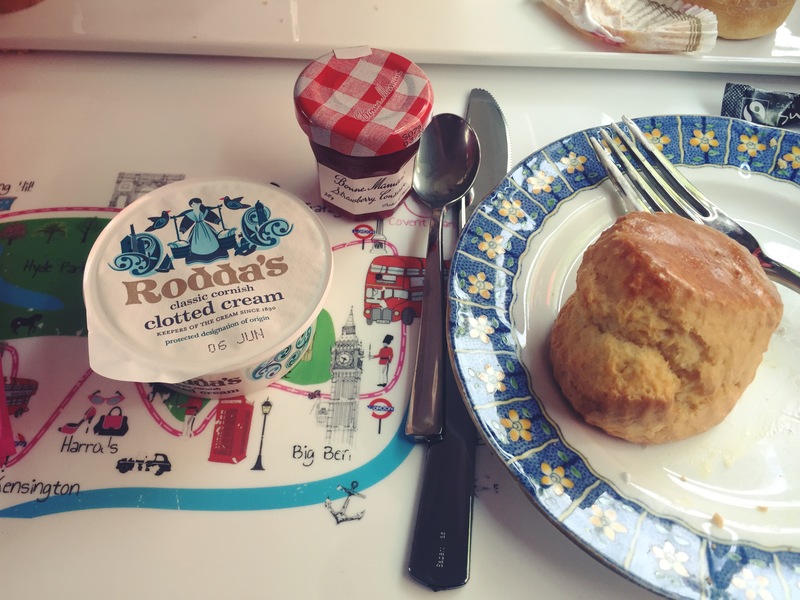 You can book into the BB Bakery Tour from £45 a person, which includes all the sweet treats, cups of tea and juices you could possibility imagine. 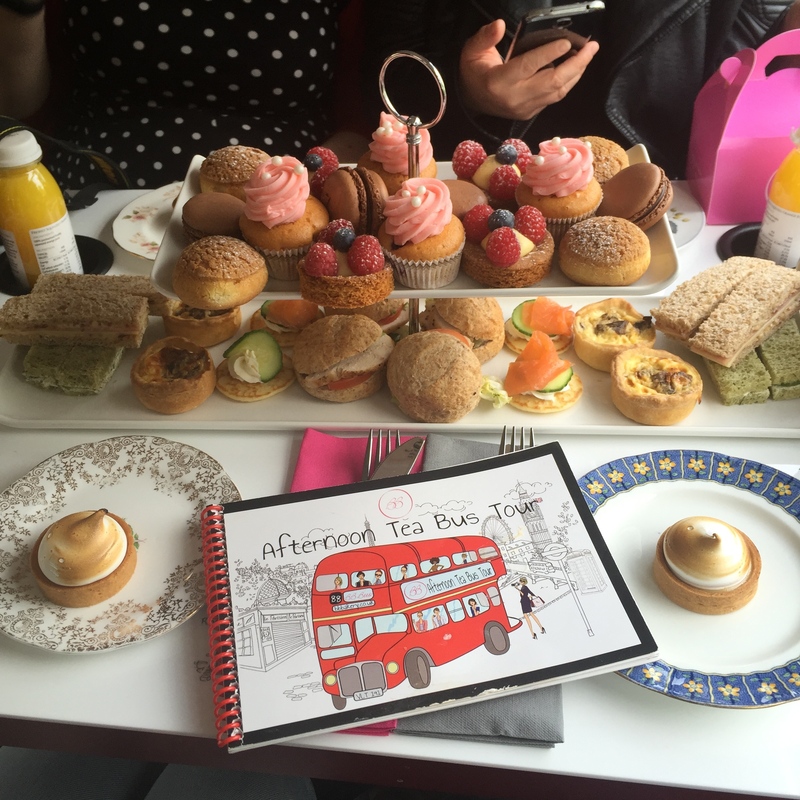 It’s a wonderful experience, especially for someone visiting London, a hen do or anyone who adores afternoon tea.